Created in 1934, the University of São Paulo is one of the most important institutions of higher learning in Brazil. Presently, the most important rankings are those of the Institute of Higher Education Shanghai Jiao Tong University, created in 2003, and those of The Times (2004). In the last edition of Shanghai University (2013), which classifies the 500 best universities in the world, USP was ranked in 147rd position. According to the the index of the English newspaper The Times, in 2013 USP placed as number 250 among the world’s top institutions. The 2013 Performance Ranking of Scientific Papers for World Universities, of the Higher Education Evaluation & Accreditation Council of Taiwan, which also classifies the top 500 institutions of learning and research in the world, USP held the 58th position. According to this ranking, the institution holds first place among the Latin American universities. In order to obtain this result, the Council of Taiwan analyzed facts obtained from the Science Citation Index (SCI) and the Social Sciences Citation Index (SSCI). In another classification, that of the Webometrics Ranking of World Universities, considered important by the world scientific community, the University placed 31rd. This achievement, the result of more than 75 years of an intense search for excellence, allows USP (founded in 1934) to be part of a select group of institutions of high world standing. Its undergraduate program consists of 249 courses, dedicated to all fields of knowledge, distributed in 42 units of learning and research and offered to more than 58 thousand students. The graduate program is composed of 239 programs (with 332 Masters degree courses and 309 Ph.D courses). In order to carry out its activities, USP counts on various campi, distributed in the cities of São Paulo, Ribeirão Preto, Piracicaba, São Carlos, Santos, Pirassununga, Bauru and Lorena, besides units of learning, museums and research centers located outside these spaces and in different municipalities. USP’s international vocation stems from its foundation, through the union of already existing schools and the relevant role played by foreign professors, especially French, Italian and German, who came to teach at the former School of Philosophy, Sciences and Literature. The later dismemberment of this School resulted in a large number of the university’s schools and institutes. The new requirements of globalization have accelerated USP’s process of internationalizing its learning and research activities with excellent results. 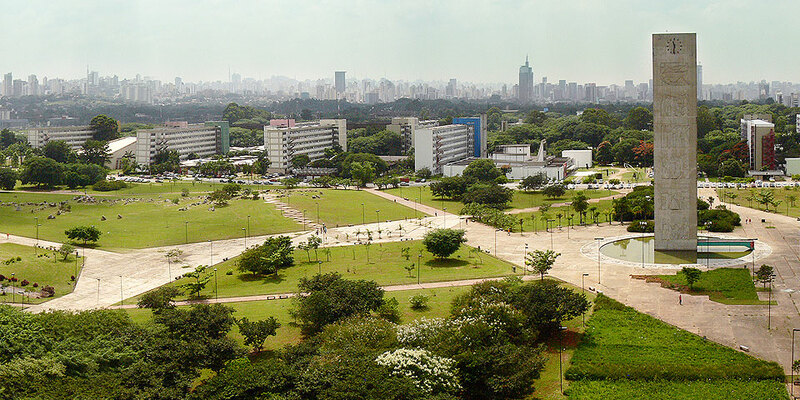 The growing number of professors and students in exchange programs and the institution’s performance in the above-mentioned world rankings show that the University of São Paulo continues on the right path, uniting tradition with innovation to bring about the development of Brazilian and world society.